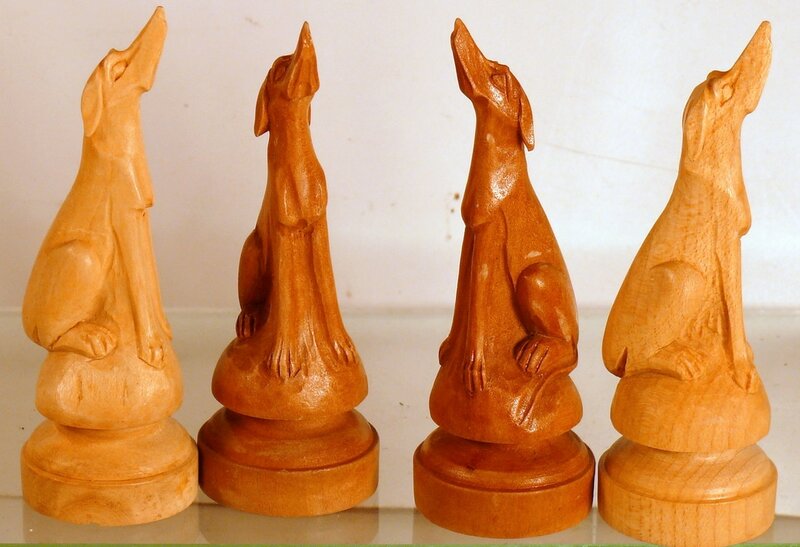 Part of the autonomous region Alto Adige/Southern Tyrol in Italy, the Val Gardena is known for tis ancient romanic language, its skiing facilities - and its old tradition of woodcarving. 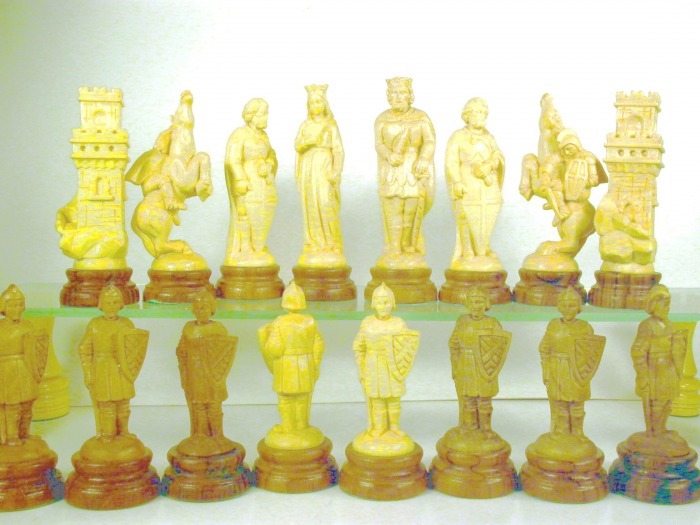 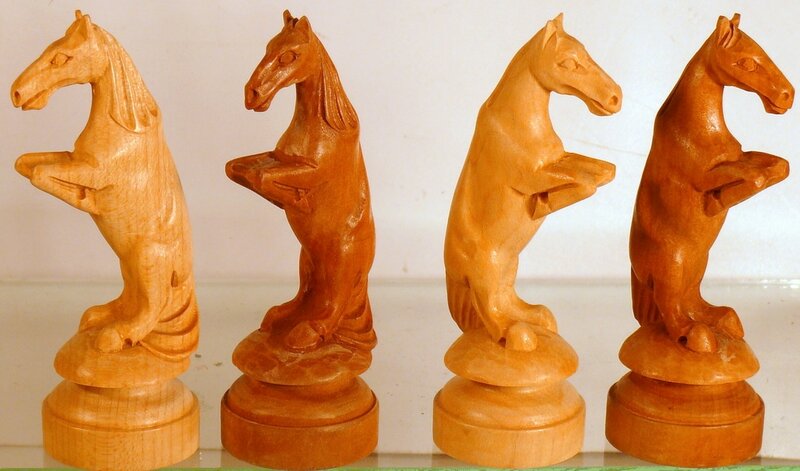 Chess sets are the least of the carvers output, the main object being the carving of religious statues, and decorative figurines or bottle corks etc. 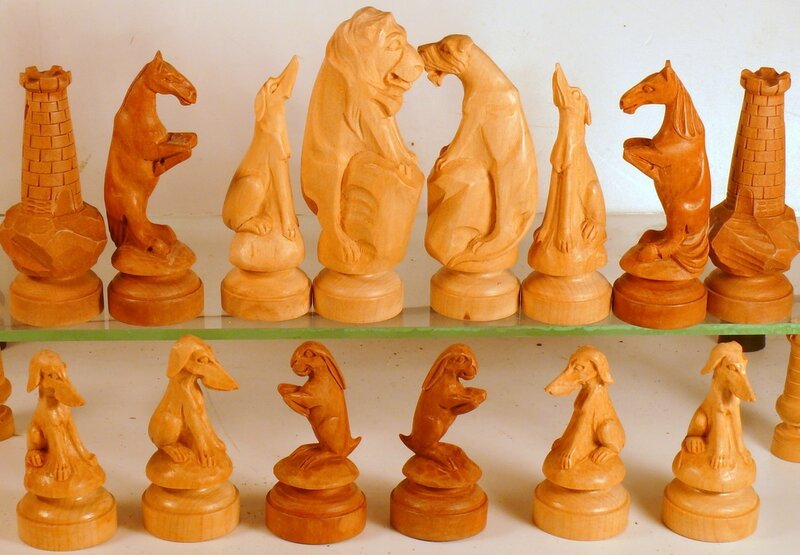 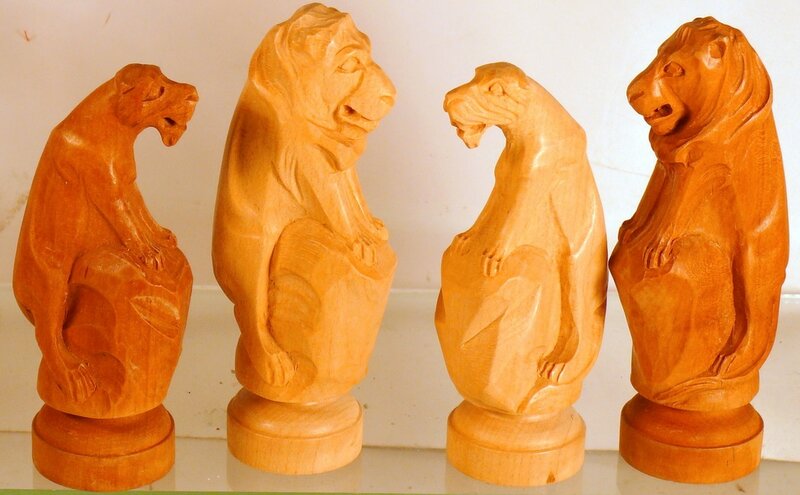 - but most carvers have at one time or other done chess sets, mostly on order. 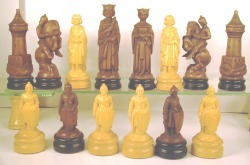 The ANRI company's chess sets from the 60ies to 90ies have gained collectors status - thanks to their quality - and the status achieved for the brand in the main export market USA. 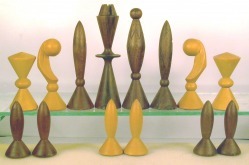 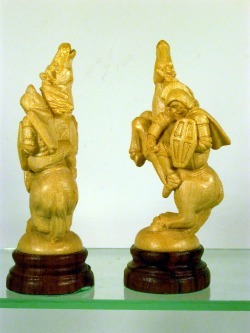 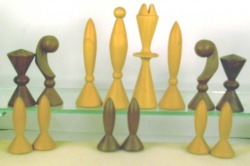 Entrancing chessmen in alpine maple, natural and browned, on turned piedestals with felt bottoms. 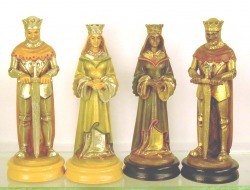 These sets are still being made nowadays, so age is irrelevant here - king stands 114 mm. Impeccably made in alpine maple, this set was designed by US artist Arthur Elliott in the 70ies - obviously inspired by rockets, sputniks, and satellites. Pieces are great and smooth to handle, kings stand 104 mm. This version is contained in a customized wooden casket to keep the pieces intact - ANRI custom. 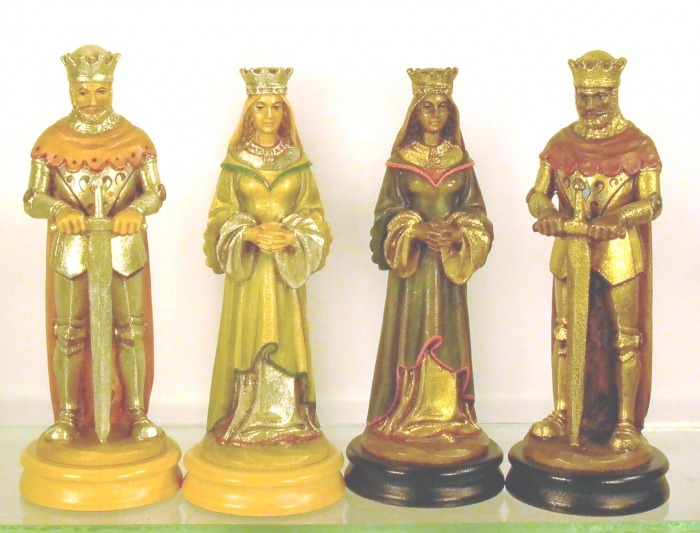 Later mass market versions - this set was made in droves- were shipped in simple presentation cartons. 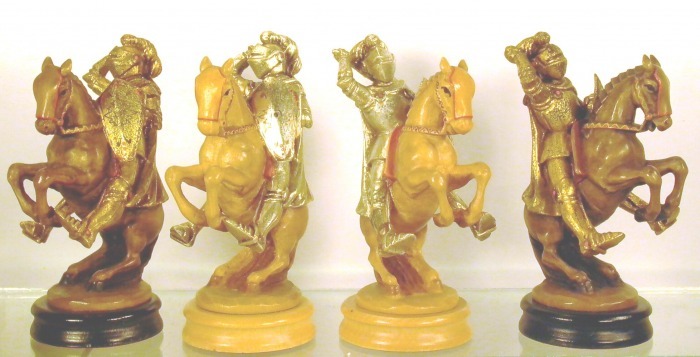 As above but in a (dis)coloured version - water damage on the light brigade! The most opulent wooden chess set carved in the last 50 years, the imposing Montsalvat in polychrome version takes its name from the Parsifal legend. 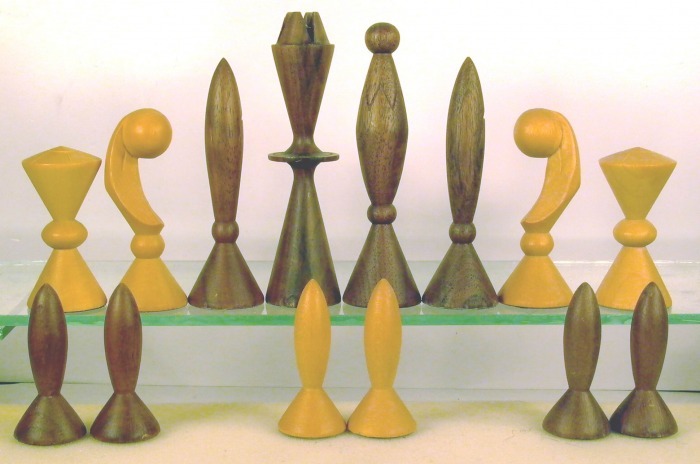 The finely handcarved pieces from alpine maple are handpainted and gilded, the bases are heavily loaded and the pieces are felted and casketed. 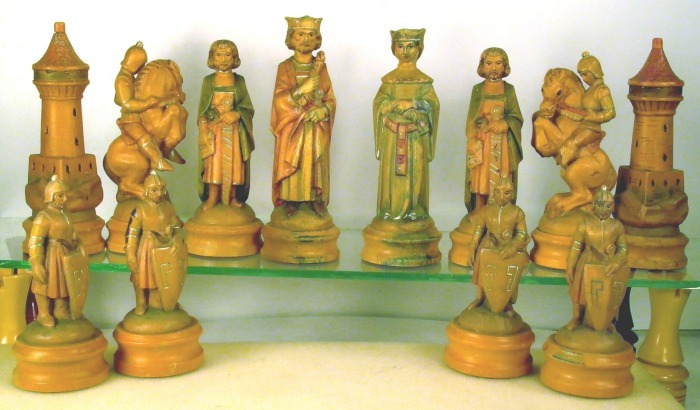 The kings stand an imposing 139 mm - smaller versions on piedestals were also made - as well as a large version with a 10 " king! 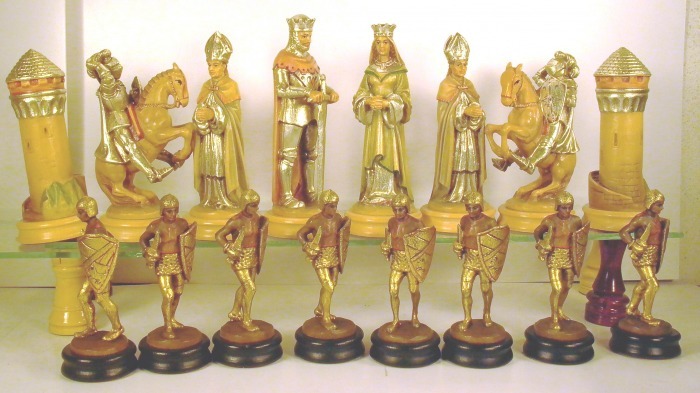 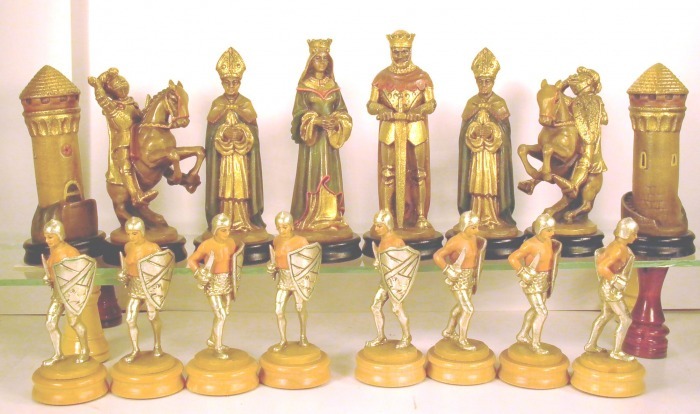 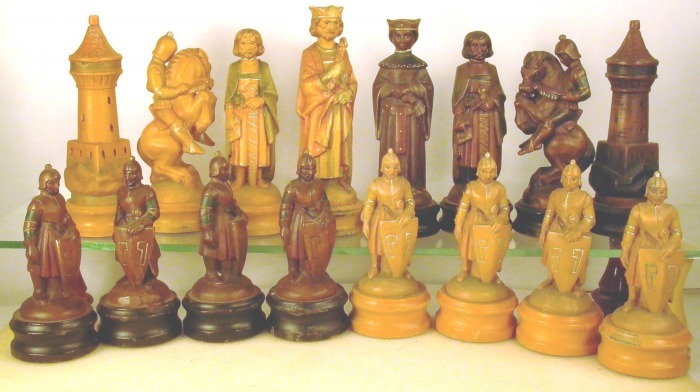 This is the only of the numerous ANRI chess sets still in available - check this here. 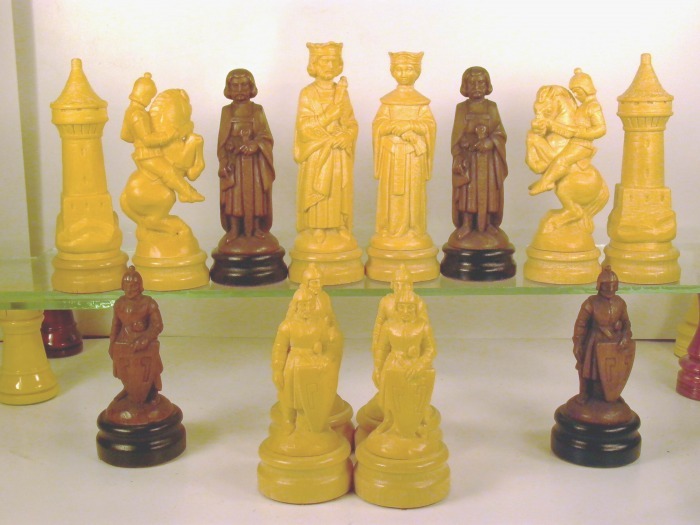 This set is from the 70ies, the present version is almost the same.